Today’s guest on Landscape Conversations is the highly regarded landscape architect Sue Barnsley. 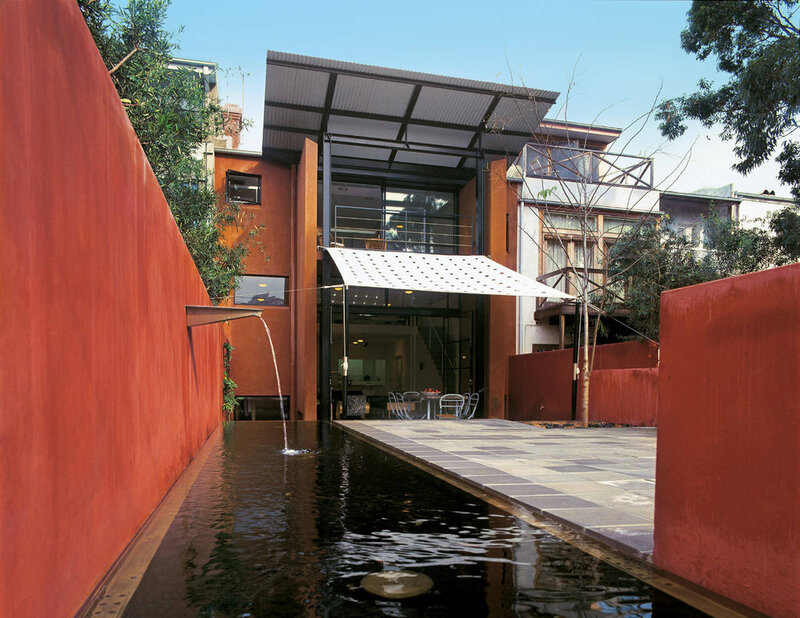 Sue runs a small design focused studio in Sydney and she often collaborates with other designers. She has over a period of more than 20 years worked on a wide range of project types. Sue’s work is recognised for its creative responses to context and ecology, whether it be in large scale restoration work or private gardens. 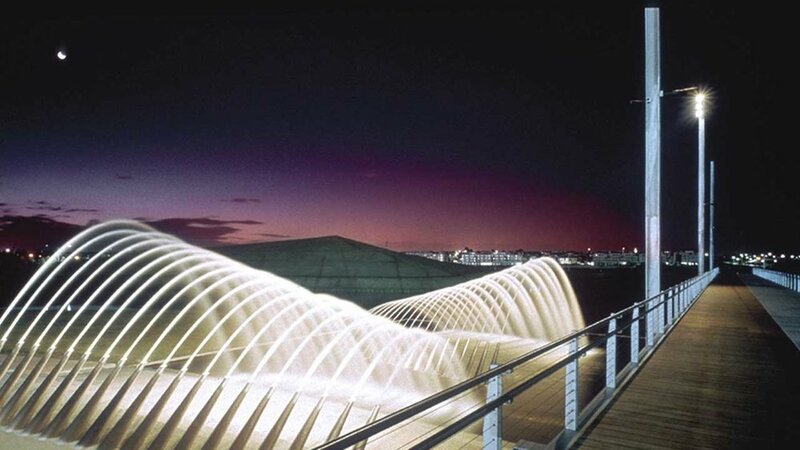 Examples of Sue’s work include Sydney Olympic Park Wetlands with Hargreaves and Associates and Jubilee Park playground in Glebe. Anton: How long did you stay there? Sue: We lived there for four years. So it was obviously quite incredible in terms of landscape. You’d have one and a half metres of snow. And then in the summer it would be unbearably humid and green and there’d be fire flies and it would be like thick with humidity. So it was incredible. And funny I was just looking up on the maps the other night thinking in advance of this and they call it a tropical climate zone. Tropical that’s weird because it was so cold and so hot, It was a beautiful sort of place to grow up. And then coming to Adelaide back to a house that my parents had built there was an eclectic mix of plants, but there was like all these bottle brushes and, yeah, dry walls. And kind of things were a bit more crispy and thinking wow this is really weird. This is the other side of the world. 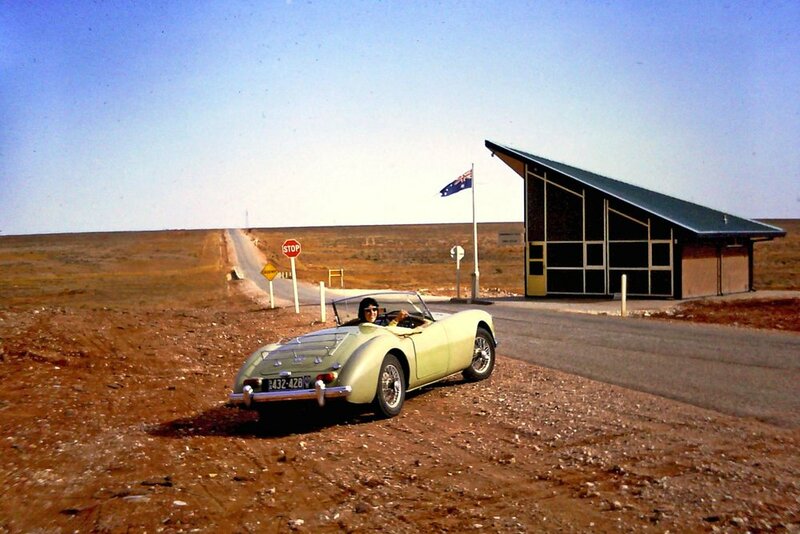 And then from there we went to live in Woomera, so in the middle of the desert. And so the sense of this changing landscapes was really formative and perhaps from those changes I think I’ve become really attuned to, or more attuned to, reading landscapes and quite literate, in the sense, of really being astonished by them. Anton: Do you think you have a particular focus on like a typography or colour, or a texture or a plant material out of that? Because you talk about the colour and then I suppose the flatness of Woomera. Sue: When you’re in America suddenly from being really enclosed, spatially enclosed, as soon as the leaves are gone you can suddenly see the topography and you can see distance which you never could see. Whereas like when we have a bushfire that’s exactly what happens here. I’ve got the sandstone and you suddenly see this topography which you couldn’t really read. It was just this sort of blur of olives and you don’t really read it until you can actually suddenly see the ground plan and see the trees silhouetted, so that was kind of interesting, but I think it varies. So spatially obviously it was quite profound. The colour of plants and the crazy form of plants. Topography was really interesting, in the sense, of we’d go on these picnics in Woomera and you’d find a little creek and so it would be quite incised, or the pool, or the rarity or the incredibleness of that, but also the sense of it was an inhabited landscape. Like you would go along and it would be very sandy, or giberry rock. And then you’d come across a little corroboree ground, and all these flints from Aboriginals who’ve disappeared. So you really started to feel this was an inhabited place. So I mean it was quite rich on so many different levels. And I mean common to many people. My father was born, well, he wasn’t born on a farm, but he came to Australia from England when he was one, one and a half, and they rented some land and they were farmers. And so he grew up outdoors and so he has always loved the bush and so we camped a lot and all of that kind of things, always being connected outdoors. So I think that just reverberates on many levels. I don’t know if one thing over the other. Anton: It certainly wasn’t an urban upbringing. Sue: Well, it wasn’t an urban upbringing, but at the same time, again, just reflecting on this we lived in Adelaide which is a planned city. We lived in Washington DC which is a planned city. We lived in Canberra which was a planned city. And I must say leaving Canberra to come and live in Sydney was the antidote to all of that planning. You know, it was great. The sort of the more of the kind of the diversity of everything, but so I mean I guess it was more suburban as a kid, but obviously the big planning moves are kind of there with water basins and these axial views and yeah. Anton: And so then how did then going to Canberra with your education did that dovetail into that nicely or do you think that changed the way you saw things again? Anton: Was it pretty focused on itself, or on Canberra, on the story of Canberra? Sue: I mean we obviously worked on the Y-Plan and we worked on projects for the new satellite cities of Tuggeranong. And sort of the idea always of the managing stormwater and the ideas of the lakes and the ideas of that the Griffins had on this incredible alchemy of landscape and city. So that is, but sometimes you don’t actually give any hierarchy to some of these things you just let them diffuse through you. But the power of the landscape in the city was really potent, but I think there was always the shadow side of that where there was so much undifferentiated open space, which is, as you can see, slowly things change. And we’re starting to get some urbanity on the lake and starting to have places that even up higher like the Arboretum that you can look over the city where as with the hills, or the hilltops, generally, are kind of quite sacred. So it’s also quite an interesting idea of a work in progress, which I think is really interesting. Anton: Yeah. Or when you were being taught there? The school had a particular view? It was the time of the bush school. Towards the end of the bush school in Sydney. Sue: The bush school never really came into it at all. I mean when we started they didn’t have any discussion about the history of landscape architecture. That wasn’t even an idea. It was very ecological I think in a sense. I mean it was a mix of all. I mean we went over to the school of biology to do ecology and things like that. But I mean I remember the first lecture we had in first year it was just about urbanisation and around the world. And we started in like some of the favelas and just looking at the pressure of population. So there was all of that 1970s issues of globalisation, environmental footprints, how to deal with really looking at critical mass of place. So it probably had a strong environmental focus. But it also had a focus a little bit from probably America and England because all the lecturers came really from English more than anywhere else, so that was sort of the background. Anton: And you clearly have an interest in garden design now. Was that something that was also developed there? Sue: It came as an opportunity. One of the guys who was working there, Andrew McNally, was a friend of the Magneys. And the Magneys had Glenn Murcutt doing a house for them in Paddington. And he said, “Would you work with me on this?” And then as it transpired I did the design and working with Glenn was absolutely incredible because I just felt like this was a chance that something could be contemporary, and something that could be quite simple, but everything could be considered, like beautiful detailing, quite a simple design that understood the house. We collected water from the roof for a pond. The terrace was above the garage so it was sort of my first roof garden and water feature. And I just decided to leave and learn something because this was going to be the best way to learn something. And so I just started. And so that was my first garden. And gardens became a vehicle to really get things built and that I could do myself because I was working solo. So it was more of a scale thing. Anton: So that was the start of Sue Barnsley design? Sue: We do and I think you’re more defined by the things that you say no to. They were really good testing grounds for learning. Learning how to build something. Learning how to supervise on site. So a lot of that I taught myself and a lot of it I had the good fortune of working with great architects who had good consultants and learning from them. So I sort of just took that and I really enjoyed it, but then there is a place where you only want to be working on amazing gardens. Amazing, not necessarily because of budget but because of the people, the brief, the site and hopefully that extends something. So obviously Magney was incredible. It was this north facing terrace. It was a way of looking at how you could actually reinhabit some of those old suburbs. And they look out onto Trumper Park, so it’s like this green vista. I mean it was just an extraordinary site. So I did a lot of Glenn’s projects and did a few things with Lewis Tzannes and that became Alec Tzannes . But also kind of feeling that collective life and social life of the city was really important. So you didn’t just want to be doing work for people who didn’t have a sort of contemporary vision or pushing what landscape could be so. Anton: So has that also led you to look for the public work, public design? Sue: So we were doing lots of public work at the same time. We were doing competitions and I was doing a little bit of bigger projects. Then sort of the next probably step in the trajectory of things was I guess Neil. I met Neil [Neil Hobbs]. We were both doing a competition for what turned out to be Chifley Square. And so I met him and he introduced me to Barbara Schaffer. And so Barbara was just finishing uni and we started work together on Restoring the Waters, which was not something that I would have ever done by myself, but it was really interesting. It was fantastic to be looking at environmental issues about suburban issues, about some of those places. Like Fairfield it was just like a green desert. It had open space, but it had no articulation. So the opportunity to sort of embed, or start to think about, how to re-bring a creek back into the top of a catchment and change the whole of the city slowly, which is all what each of us are doing. It was fantastic. Anton: Well, it takes you back to your education a bit doesn’t it? Sue: A little bit. And so we started doing that project and it was grants funded. And the opportunity to bring in an art component with Michaelie Crawford and Jenny Turpin just gave it a whole new dimension talking about cultural amnesia and the sense of loss, and the sense of not knowing what’s lost, and the cultural amnesia. And the ability to connect into kids and schools and in an artful way talk about environmental issues and, yeah, make changes. Anton: And is that something you’ve pursued, or you’ve maintained those contacts? Anton: You built pretty strong contacts there didn’t you? Sue: I mean, well, obviously, the idea of landscape being an art form is obviously incredibly powerful. Anton: And do you think that developed out of the time with the early projects ? Sue: Well, I think it was a sort of thing of the time. Obviously, I think we all talk about learning about the land art in the 70s, and the spiral jetty, and the Smithson, and all of those fantastic formative things. And I’ve always been really interested in ancient civilisations and sort of have a power of an elemental landscape whether it’s a ziggurat or that sort of thing. So those huge moves. Well, that was the day. That was the day wasn’t it? Because that was also Christo and his Running Fence. That was one of the most powerful things I’d ever seen. Anton: So on the influence mainly of that creative work do you think that’s changed the way you work? Or how do you work typically? Do you draw? Do you make models? You work on a computer? You think, you write? Sue: Yeah, or white trace. There’s a lot of scribbling. There’s a lot of scribbling. Anton: Yeah. Words or draw? Some people write I guess. Write a lot. Sue: ...with that block was sort of the other end of the land axis. And it was actually the way that describing the conceptual framework for thinking about it that the clients we just did a few drawings, but it was interesting they engaged through the words really, really profoundly. So I think a lot of it it’s like communicating on whatever level you can. Anton: And that’s spoken and written? Sue: Well, I’m a better writer than I am a speaker. I’m a slightly nervous speaker. And I just find that also the way of writing, in terms of I mean being clear, but also being kind of atmospheric, I think the whole idea, or project, the atmosphere of a project is the strategic level of thinking. And then the atmospheric level of thinking is like the two most powerful ways of sort of understanding something for yourself and obviously then communicating it to your client. So I was just interested the words were the one that they connected to more. Anton: I don’t mean necessarily the art context anything. Sue: Yeah. But I read a lot, but not so much landscape. Anton: And looking at those things changes the way you do yours? Sue: No. I think it gives me more of a way of seeing as opposed to a way of communicating perhaps, or in a way of trialling things. The way we do actually figure our work is very traditional. The sketching, as I said, the plan. We’ve been doing three-dimensional sort of details and stuff for construction, but I’ve always been a bit sort of behind in 3D representation of things. Anton: You could be in front again. Sue: I don’t know. We were just talking about this the other day, maybe it’s more of like just keep sketching as a sort of easier way and not to approximate things so closely. It’s just trying to actually get to the essence of things. And I think that’s sort of fundamental to our work is also trying to get to the essence of things. Anton: And I mean the strictures of the digital, and, unfortunately, the homogenisation. And it probably doesn’t need to be like that, but with a couple of prevalent bits of software that everybody uses. It does tend to flatten things out. Sue: It does flatten it and it also takes it somewhere too fast. It’s almost like your design has to grow up too fast. But I guess the other thing is we work at a much smaller scale than perhaps you do. So we can be sometimes a bit dumber in the way we’re presenting things. Like It’s just more straightforward, or you’ve not got the same demands of being as exacting, and feeling like you’ve got the marketing department over your shoulder wondering what the product is. You know what I mean? Sue: Well, again, it’s this organic thing. I don’t know. I’m very much into this concept of propinquity whatever you need is actually very close to you, or sometimes it comes to you. I’ve been working with Kirsty Kendall for 11 years and she just came back from London and just popped into the office. And we’ve got such a small office and I’ve always wanted to stay with these people Durbach Block and Neeson Murcutt and so it’s always been a little bit like in some ways not being overly ambitious. I’m quite happy. I let the size of the office dictate how many people I could have and never really thought to go out and get bigger space or anything like that. And like as the years have just suddenly kind of, who knew that they would go so fast, and you’ve just stayed small, but working with Kirsty. That was also a really fortuitous thing because we kind of grew up together in a way, in the sense of our design has grown up together. So we’ve worked really closely together. And I think in some ways we’ve got quite a nice balance between our skills, in the sense that I can probably be a little bit more strategic and maybe hone things down to the essence of what we want. Where she’s also kind of been incredibly lively in bringing a sort of a design language to the office. And she’s got incredible three-dimensional thinking and incredible construction skills. So it’s just been really nice sort of working together. And there’s been other people who’ve been really instrumental, but, obviously, that’s the longest lasting relationship so I’m sort of quite happy to work quite intimately for some reason. Anton: So what about your experience with the Hargreaves show? Did that have an impact do you think on the way you work? Sue: This was like 1996 or something. Yeah. Anton: It was interesting to observe the way he able to come in on the land and brush aside all of the heavy weights, the local heavy weights, and do his work. Anton: Because I never really got to the bottom of it. I wasn’t around enough to see how that exactly happened, but to operate at that level was pretty interesting. Sue: I think I mean he’d obviously been angling for it. That’s why he came out and he could see the potential of that. Sue: And he met the right people. And I think the speed and the necessity of the Olympics allowed people to drop a whole lot of bureaucracy and the confidence of the things that they’d done. And it just sort of gave them an entrée that wouldn’t have probably have been as easy for a local practice because for some reason I hate to say cultural cringe, but there was a kind of aura around them that let them do things. And they did it in the most beautiful way to take advantage of that. Anton: And simple in a way wasn’t it? Anton: It was quite simple. Sue: I mean that’s where we first heard about three moves. The red, yellow and the green, or red, blue and green. Anton: And the poetry of engineering I remember. Sue: Yeah, yeah. And the way they engage with a piece of art and beautiful fountains. And on the same level a centrifugal diffusion system for growth pollutants. They put the same energy into thinking about things and detailing things and it was a straight forward sort of process. They’ve sort of demystified things a little bit. Sue: And so I mean that’s what I take away from that time. Anton: Do you change the way you work according to the scale do you think when obviously big projects start to have all sorts of players and politics and regulations and rules and requirements that maybe smaller projects don’t? And does that change the way you approach something? Sue: I mean in some ways Prince Alfred Park has been our biggest project. And, in a sense, in some ways that’s quite easy. It’s a park. It doesn’t have the competing agendas of six developers and a plaza space that’s actually over a carpark, and ownerships things, and so many requirements for ducting this and doing that and it’s a much easier thing. Anton: Might you look at the horizon in the big project and the particular tree that’s left in a smaller project, or is there a shift in scale, or do you look for different things? And are there different things that trigger the way you start to work, do you think, in different style projects? Sue: I almost feel like each site starts to tell you how it wants to be, if you really listen, or if you really kind of try and connect with it it tells you what the kind of issues are. Anton: So what is there particular things you keep returning to that you look for in the sites? Sue: Well, yeah, I think each one is different. It’s like some places don’t need too much done to them to amplify the conditions there. And others are much more open so it does vary, but I mean as a strategy we do kind of like to get a sense of the site and its connections and also just it’s ecology. Its original ecology is a really important sort of starting point, or even it’s the original cultural footprint. The imprint. Anton: To what extend do you look for some occupation? Anton: That editing process is kind of interesting. Sue: Yeah, no. Totally. And it just adds a sense of memory and a sense of sort of maybe even environmental responsiveness, or just the layers of memory, and the layers of past use and the ghosts of that site. So I mean that does play a part, depending on the site, and depending how much has been mucked around with or whatever. At Mount Ainslie we’re just going through that because we’re kind of looking at this idea of a lookout and the sense of trying to amplify the sense of being on a promontory. That idea of altitude and how you can actually exaggerate that and do you keep because basically what we’re left with there is they’ve come in and made a lookout, but they’ve sort of flattened everything. So there’s no sense of precipice or contained view being right at the edge of something. And so it’s like do we keep anything that’s there, or do we just restore the mountain as the big idea? So I think it varies in different conditions. Anton: Do you think there’s a risk of all those designers running around doing special stuff there’s a risk of everything being special? And where do you think the roles of banality and the ugly is in landscape? Anton: And what do you rely on? Sue: It’s like the sense of inevitability sometimes, but also maybe something that’s just helping you understand things that are different, like not a conscious level. I quite like that idea that sometimes it’s just the physical apprehension of something rather than the mental because I think there’s so much going on that we sometimes need to just empty our heads and feel something. Anton: Is that in your quiver if you like? Sue: I’d hope so that we can, but I feel like I don’t do it as much as I used to. I think all my plant knowledge I was, I think, probably more experimental. We do like experimenting and we do like the curious, and we do like the unusual, and we do like that planting is actually thought about rather than just like somebody has just picked three plants and put it in. And I do like the idea of it as an ecosystem. Anton: So do you get very involved in the ongoing maintenance? And that potential problem of things being done and then forgotten? Anton: Do you have a way around that? Sue: No. Like you try different approaches. I mean on some gardens I’ve just been asked to come back and look at a garden that I did with Glenn in 2002. So that’s a really nice thing and there’s not so many plants in there, but it’s really nice to come back. But some other jobs you just write the emails going, “Why did you end up pulling out the Caesalpinia and putting in Jacaranda? Or going around Prince Albert Park why have you got a pink variegated Agave where we had Macrozamias. I don’t know. I don’t know. You can see it’s like a slow erosion that happens with landscape and you try sometimes to keep butting in, in the nicest possible way. I don’t know. You just try as many different strategies as you can, but it is quite hard. Sue: I don’t think people are interested in that because either we’ve still got that lawnmower culture, and that’s all their interested in, or the people who look after these things have got their own agenda where they’d actually like to be designing it. Anton: Which could be a good thing in the end. Sue: It could be a good thing. Anton: Better than the lawnmower. Sue: It could be a good thing, but also I think it’s a shame that, I don’t know, you fall in love with what you do and want to be able to part of its evolution. This little child or whatever. It’s hard. You’ve got to give it away. And some things work and look some things are better without your hand and sometimes things would be better if you could actually help guide them. Anton: It’s also getting that balance right between the experimental and the reliable isn’t it? Anton: And targeting the level of maintenance it’s likely to get? Sue: Yeah. But in some ways The Meadows at Prince Alfred Park were part of that and probably interesting to see. Like Cleveland Street it’s probably going to transform back to a monoculture rather than a sort of polyculture of grasses and sort of things, but at the same time you just sort of accept that. It turns into an incredible habitat. It’s supported all those figs. It’s this incredible buffer against Cleveland Street. So that’s okay. Anton: Because it’s been lost and it’s precious, or because you think it holds a deeper value? Sue: I think on two different levels. I think planting reminds you where you are, to a certain extent, in a global culture. I think it’s also incredible for habitat. And the connectivity of habitat. Those sorts of corridors, but it doesn’t always. I mean we’ve changed things so much that in some cases you can’t. Anton: In a way there’s possibly more chance of achieving that in a smaller garden isn’t there than in the big gardens? Anton: The private rather than the public. Anton: Yeah. It’s a hard thing. The endemic is very different from the native isn’t it?